CRO, NOR and POL all submit bids. The Men's and Women´s European Championships have been carried out in host countries all over Europe, including the latest editions, for women in 2010 in Denmark and Norway and 2012 in Serbia for men. Sixteen of the best national teams take part in each of these events and they continue to reach new heights. The EHF EUROs are handball's greatest event - the organisation of an event of this dimension demands the highest standards, a professional event management strategy, specialists form all fields and a state-of-the-art working foundation and infrastructure. This poses a unique challenge to each and every host, to put their special touch and bring their unique charm to an EHF EURO. The EHF and the local organiser host federation join together to help create and shape a high profile, entertaining and professional elite sports tournament. The first steps on the road to the EHF EUROs in 2016 were taken back in June 2011 as nations declared their interest and eagerness in joining together with the EHF to produce fantastic tournaments that will live long in the memory. The following nations declared their interest in staging the Men's EHF EURO 2016: CRO, NOR and POL. The next stage saw the manuals for staging the events delivered to the relevant nations, followed by the official applications, before site inspections by the EHF from October to December 2011. An evaluation of the bids was made by the EHF in February 2012, with the confirmation of the bids by the EHF Executive Committee in March and April. The bids will then be allocated at the EHF Congress in June 2012 in Monaco. 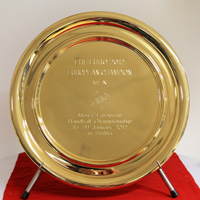 Browse the confirmed bidders, who have submitted their website and bid books, below to see who has bid for the right to host the Men's EHF EURO 2016.